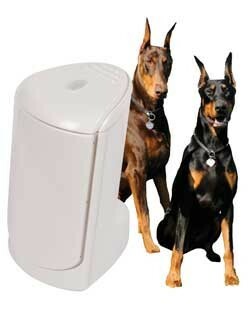 Dakota Alert is one of the leaders in driveway alarms worldwide. With Dakota Alerts wireless technology users can have an unlimited number of sensors and receivers all working together as one complete system. This allows users and installers to create custom alarm systems for their properties. On top of this they offer two types of receivers, a stationary plug in chime that has multiple outs, timers, etc. built and a portable pager receiver. With all of those options and an incredible wireless range of 2500 feet from any transmitter to either receiver it’s easy to build the perfect alarm and monitoring system for your needs. If a wireless driveway alarm is what you’re looking for then there’s a Dakota Alert 2500 system that’ll suit your needs. Looking to detect vehicles, but not people and want to avoid false alarms? Check out the DKDCPA2500. Looking to detect people and vehicles, and avoid false alarms? Check out the DKBBA2500. Looking to detect people and vehicles, and live in area where false alarms wouldn’t really be an issue? Check out the DKDCMA2500.